With elements of both a road bike and mountain bike, the Ariel is for the female rider looking to zip through the weekday commute and head out for weekend adventure. The Ariel Elite Disc features a A1 Premium Aluminum frame with Women's Fitness Geometry, Shimano hydraulic disc brake, and a 60mm-travel SR Suntour fork for a plush ride. >Shimano 9-speed crankset, 11-32 cassette, Deore Shadow rear derailleur, and Rapidfire shifters give you all the gears you need for varied terrain. 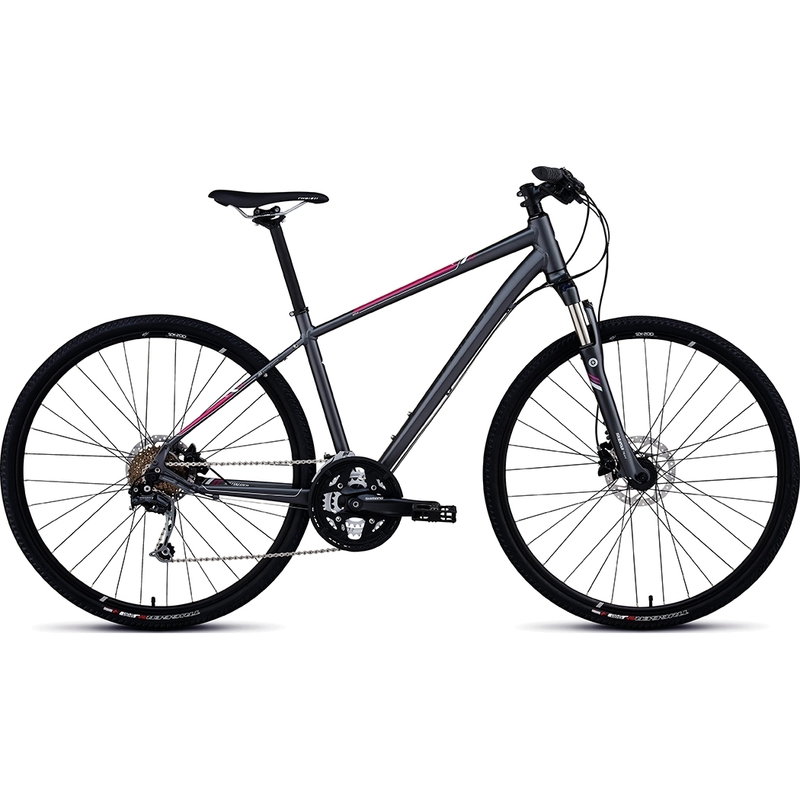 >Shimano hydraulic disc brakes with dual pistons and women's shorter reach levers assure precision braking and fit.